"Tian gong" redirects here. For other uses, see Tiangong (disambiguation). The Jade Emperor is known by many names, including Heavenly Grandfather (天公, Tiān Gōng), which originally meant "Heavenly Duke", which is used by commoners; the Jade Lord the Highest Emperor, Great Emperor of Jade (玉皇上帝, Yu Huang Shangdi or 玉皇大帝, Yu Huang Dadi). There are many stories in Chinese mythology involving the Jade Emperor. One of the myths describes how the Jade Emperor became the monarch of all the deities in heaven. It is one of the few myths in which the Jade Emperor really shows his might. In the beginning of time, the earth was a very difficult place to live, much harsher than it is now. People had to deal with a variety of monstrous beings, and they didn’t have many gods to protect them; in addition, many powerful demons were defying the immortals of heaven. The Jade Emperor was an ordinary immortal who roamed the earth helping as many people as he could. He was saddened because his powers could only ease the suffering of humans. He retreated to a mountain cave to cultivate his Tao. He passed 3,200 trials, each trial lasting about 3 million years. On earth at this time, a powerful, evil entity had the ambition to conquer the immortals and gods in heaven and proclaim sovereignty over the entire universe. This evil entity also went into retreat and meditation to expand its power, though later than the Jade Emperor did. He passed through 3,000 trials, each trial lasting about 3 million years. After its final trial, it felt confident that no one could defeat it. It re-entered the world and recruited an army of demons with the purpose of attacking heaven. The immortals, being aware of the threat, gathered themselves and prepared for war. The gods were unable to stop the powerful demon and it defeated them all. The Jade Emperor finished his cultivation during this war. When he was changing the land to make it more liveable for men and repelling a variety of monsters, he saw an evil glow emitting from heaven and knew something was amiss. He ascended and saw that the evil entity was too powerful to be stopped by the gods. He challenged it, and they fought. Mountains shook and rivers and seas toppled. Due to his deeper and wiser cultivation, his benevolence instead of his might, the Jade Emperor won the battle. After defeating the evil entity, its army was scattered by the gods and immortals. Because of his noble and benevolent deeds, the gods, immortals and humans proclaimed the Jade Emperor the supreme sovereign of all. 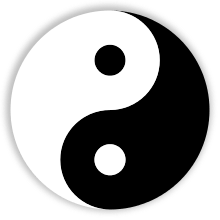 The world started with wuji (無極, nothingness) according to the Chinese creation myth. The Jade Emperor was the head of the pantheon, but not responsible for creation. In another myth, Nüwa fashions men out of the mud from the Yellow River by hand. Those she made became the richer people of the earth. After getting lazy, she dipped her scarf into the mud and swung it around. The drops that fell from the scarf became the poorer humans. In the popular novel by Wu Cheng'en, the Jade Emperor is featured many times in the story. In another story, popular throughout Asia and with many differing versions, the Jade Emperor has a daughter named Zhinü (simplified Chinese: 织女; traditional Chinese: 織女; pinyin: zhī nǚ or Chih'nü, literally: weaver girl). She is most often represented as responsible for weaving colorful clouds in the heaven. In some versions she is the Goddess Weaver, daughter of the Jade Emperor and the Celestial Queen Mother, who weaves the Silver River (known in the West as the Milky Way), which gives light to heaven and earth. In other versions, she is a seamstress who works for the Jade Emperor. Every day Zhinü descended to earth with the aid of a magical robe to bathe. One day, a lowly cowherd named Niu Lang (Chinese: 牛郎; pinyin: niú láng) spotted Zhinü as she bathed in a stream. Niu Lang fell instantly in love with her and stole her magic robe which she had left on the bank of the stream, leaving her unable to escape back to Heaven. When Zhinü emerged from the water, Niu Lang grabbed her and carried her back to his home. When the Jade Emperor heard of this matter, he was furious but unable to intercede, since in the meantime his daughter had fallen in love and married the cowherd. As time passed, Zhinü grew homesick and began to miss her father. One day, she came across a box containing her magic robe which her husband had hidden. She decided to visit her father back in Heaven, but once she returned, the Jade Emperor summoned a river to flow across the sky (the Milky Way), which Zhinü was unable to cross to return to her husband. The Emperor took pity on the young lovers, and so once a year on the seventh day of the seventh month of the lunar calendar, he allows them to meet on a bridge over the river. The story refers to constellations in the night sky. Zhinü is the star Vega in the constellation of Lyra east of the Milky Way, and Niu Lang is the star Altair in the constellation of Aquila west of the Milky Way. Under the first quarter moon (7th day) of the seventh lunar month (around August), the lighting condition in the sky causes the Milky Way to appear dimmer, hence the story that the two lovers are no longer separated on that one particular day each year. The seventh day of the seventh month of the lunar calendar is a holiday in China called Qixi Festival, which is a day for young lovers much like Valentine's Day in the West. In Japan, it is called Tanabata (star day). In Korea, it is called Chilseok. In Vietnam, it is called Thất Tịch and if it rains on that day, it is said to be Zhinü crying tears of happiness for being reunited with her husband. There are several stories as to how the twelve animals of the Chinese zodiac were chosen. In one, the Jade Emperor, although having ruled Heaven and Earth justly and wisely for many years, had never had the time to actually visit the Earth personally. He grew curious as to what the creatures looked like. Thus, he asked all the animals to visit him in heaven. The cat, being the most handsome of all animals, asked his friend the Rat to wake him on the day they were to go to Heaven so he wouldn't oversleep. The Rat, however, was worried that he would seem ugly compared to the cat, so he didn't wake the cat. Consequently, the cat missed the meeting with the Jade Emperor and was replaced by the Pig. The Jade Emperor was delighted with the animals and so decided to divide the years up amongst them. When the cat learned of what had happened, he was furious with the Rat and that, according to the story, is why cats and Rats are enemies to this day. The cat however, does have a place in the Vietnamese zodiac, replacing the Rabbit. The Jade Emperor was originally the assistant of the Divine Master of the Heavenly Origin, Yuanshi Tianzun. 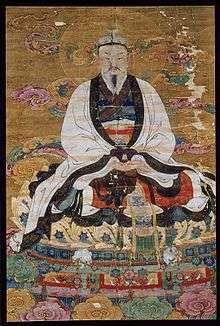 Yuanshi Tianzun is said to be the supreme beginning, the limitless and eternal creator of Heaven and Earth, who picked Yu-huang, or the Jade Emperor, as his personal successor. The Jade Emperor will eventually be succeeded by the Heavenly Master of the Dawn of Jade of the Golden Door (金闕玉晨天尊). The characters for both are stamped on the front of the arms of his throne. In two folk automatic writing texts in 1925 and 1972, Guan Yu became the 18th Jade Emperor in about 1840 AD; however, some have disagreed that Guan Yu has succeeded, and thus the Jade Emperor and Guan Yu are often worshiped separately. In Tienti teachings, the current jade emperor has 55 predecessors. The Jade Emperor Ritual at Yuzun Temple in Sanxing, Yilan of Taiwan on the Emperor's Birthday. The Jade Emperor's Birthday (天公誕) is said to be the ninth day of the first lunar month. 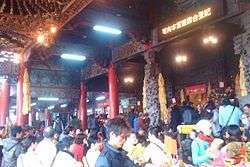 On this day Taoist temples hold a Jade Emperor ritual (拜天公, bài Tiān Gōng, literally "heaven worship") at which priests and laymen prostrate themselves, burn incense and make food offerings. In the morning of this birthday, Chinese and Taiwanese households set up an altar table with 3 layers: one top (containing offertories of six vegetables (六齋), noodles, fruits, cakes, tangyuan, vegetable bowls, and unripe betel, all decorated with paper lanterns) and two lower levels (containing the five sacrifices and wines) to honor the deities below the Jade Emperor. The household then kneels three times and kowtows nine times to pay homage and wish him a long life. Yuk Wong Po Tin in A Kung Ngam, Hong Kong. Yuk Wong Kung Tin (玉皇宮殿) a.k.a. Yuk Wong Po Tin (玉皇寶殿) is a temple in A Kung Ngam, Hong Kong, dedicated to the Jade Emperor. In the mid 19th century, people from Huizhou and Chaozhou mined stones in the hill for the development of the central urban area. They set up a shrine to worship Yuk Wong. At the beginning of the 20th century, the shrine was developed into a small temple and was renovated many times. The latest renovation was in 1992. A crater on Saturn's moon Rhea, discovered by Voyager 2 spacecraft, is named after him. 1 2 3 Lin Meirong (2011). "Jade Emperor". Encyclopedia of Taiwan. Council for Cultural Affairs. Retrieved 12 September 2012.